We have a mug problem. 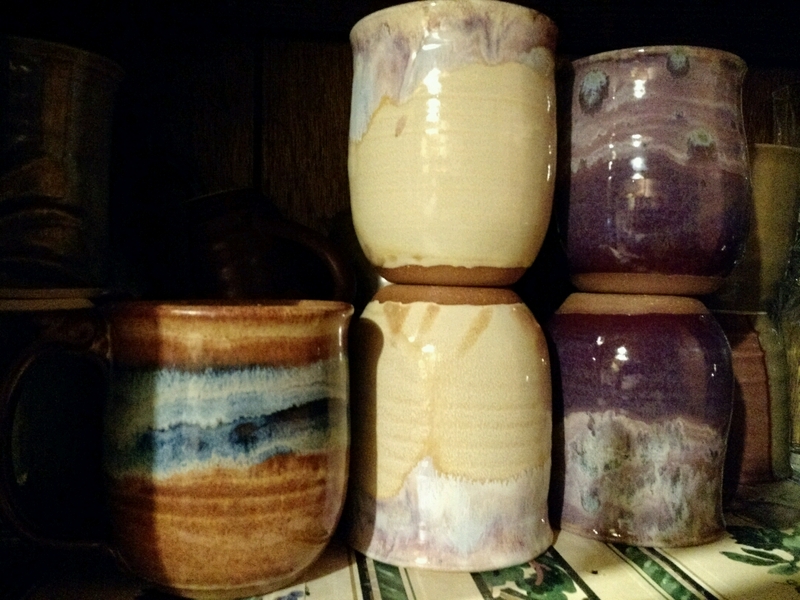 DH and I both love handmade and uniquely glazed pottery, and frequently purchase mugs as an example of work we like. Even our commercially made cups tend to look handmade. We regularly sort through the cabinet by the coffee pot to retire some that have become worn and find places for new ones. It's nice to warm your hands on a mug of coffee in the morning and try to remember the path that mug took to your hand.